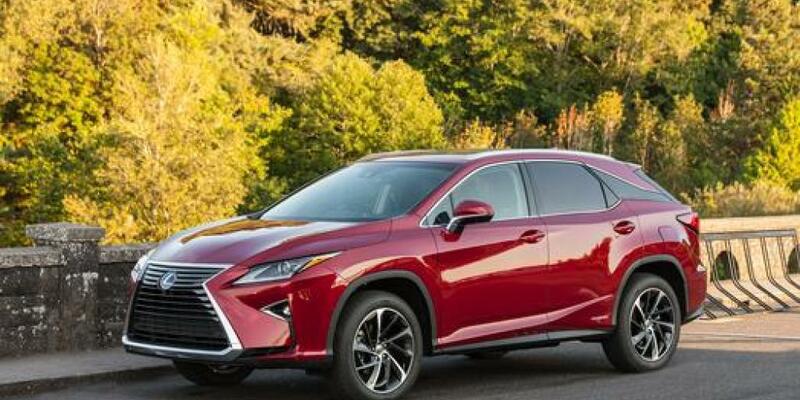 The RX 450h is part of the fourth generation RX series and the third iteration of Lexus’ flagship hybrid SUV. It’s more powerful, efficient, and, unfortunately, expensive than ever. Though it undercuts rival German hybrids by roughly 10,000 dollars, that doesn’t necessarily make it a better buy. The GLE 550e and X5 xDrive40e are far more dynamic SUVs. The sole value proposition of the RX Hybrid over its competition is its best-in-class reliability, which shouldn’t be overlooked. 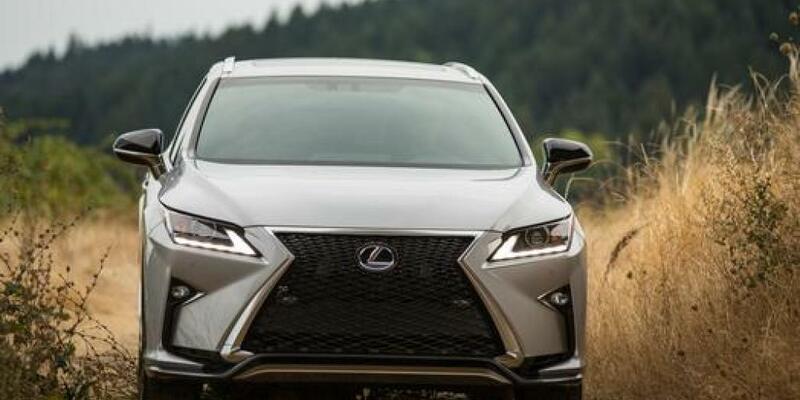 However, the RX 350 delivers the same great reliability with superior performance for thousands less. 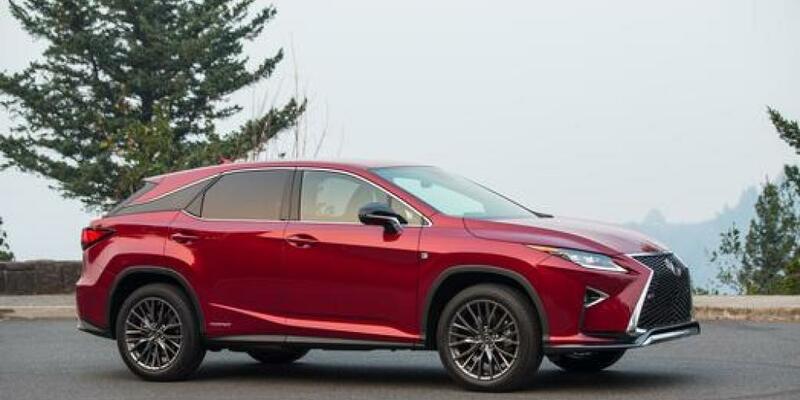 Despite being the first manufacturer to offer a hybrid luxury crossover, Lexus hasn’t remained at the helm of innovation. Sure this RX is, ostensibly, better than the previous generation but the hybrids $10,000 premium doesn’t offer much value. It’s slower, less refined, and heavier than its gas-only little brother. Sure, it comes with more standard features. However, you can add those to the RX350 and still save a bundle. 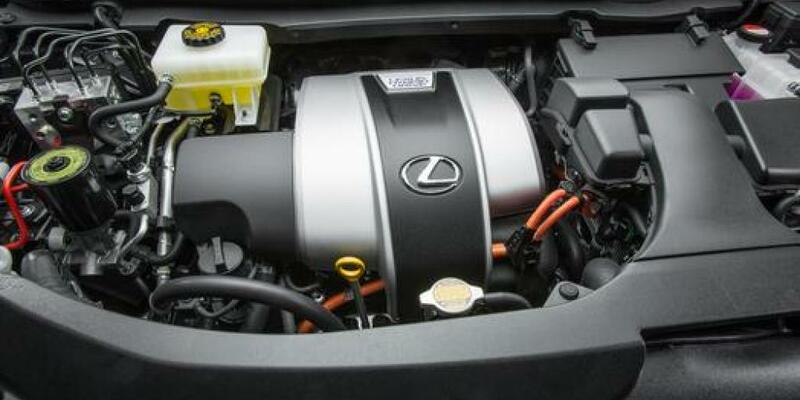 Furthermore, the RX 450h requires premium (the RX350 doesn’t) fuel which will eat up a majority of the fuel savings you’d have with this powerplant. The 450h just doesn’t make sense when the award-winning Acura MDX Sport Hybrid retails for a few thousand less. 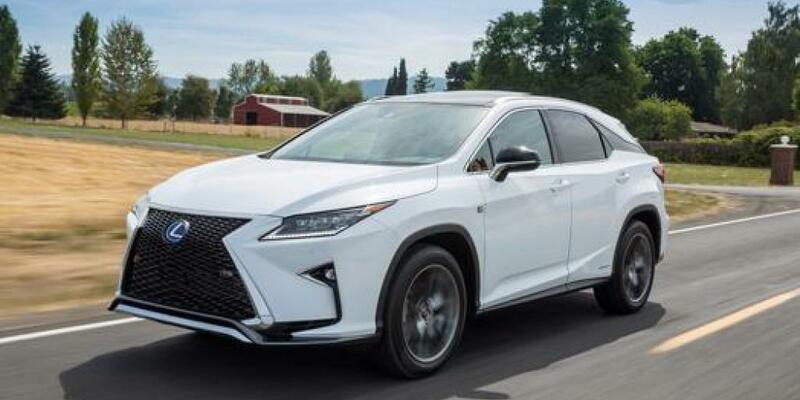 Though the RX Hybrid makes a combined horsepower figure that’s 23 ponies larger than its gas-only protege, the RX350, the RX450h is slower by a few tenths of a second in the quarter mile and zero sixty acceleration tests. Depending on who you ask, that latter figure is 7.1 seconds to 7.9 seconds. Lexus claims a 7.7-second figure for the 450h and a 7.9 second 0-60 mph time for the 450h F Sport on their site. 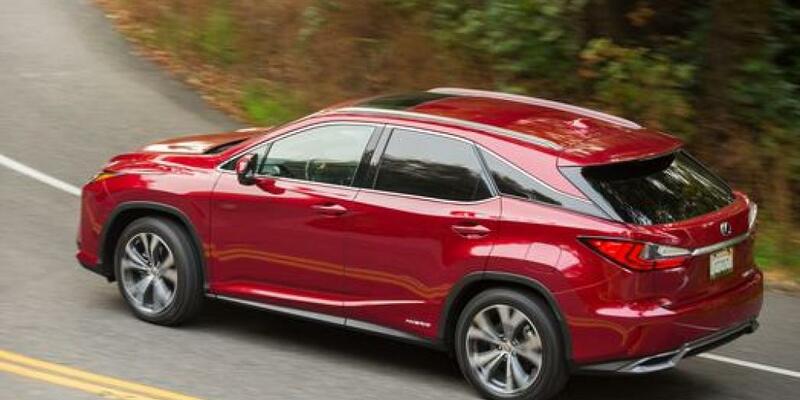 Whatever the case, the RX’s acceleration isn’t its strength when compared to other midsize luxury SUVs. 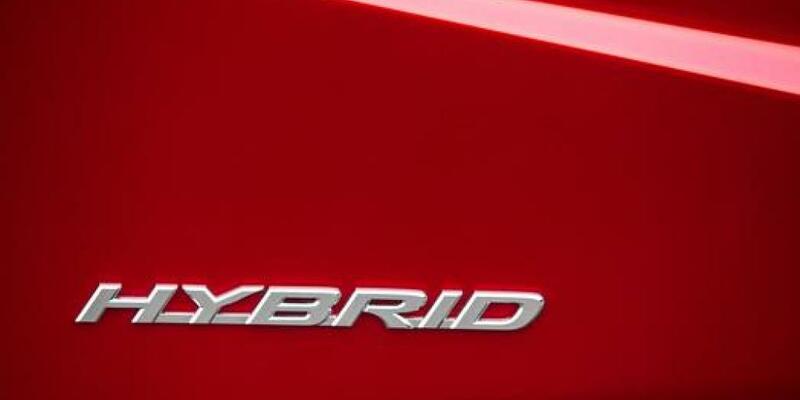 The hybrid receives an electronically controlled continuously variable transmission, complete with paddle shiftable simulated ratios. The operation is pretty smooth between the electric-only low-speed function, the engine start/stop, and modulation of the accelerator pedal. However, it’s not quite as seamless as its gas-only powered sibling. Though the hybrid is awarded significantly higher EPA fuel economy ratings, figures reported by owners and reviewers are much lower for highway heavy driving, with averages in the low 20’s. However, if you do a lot of city driving, especially stop and go traffic, the hybrid will save you lots of money on fuel. $10,000 dollars worth? That remains to be determined. 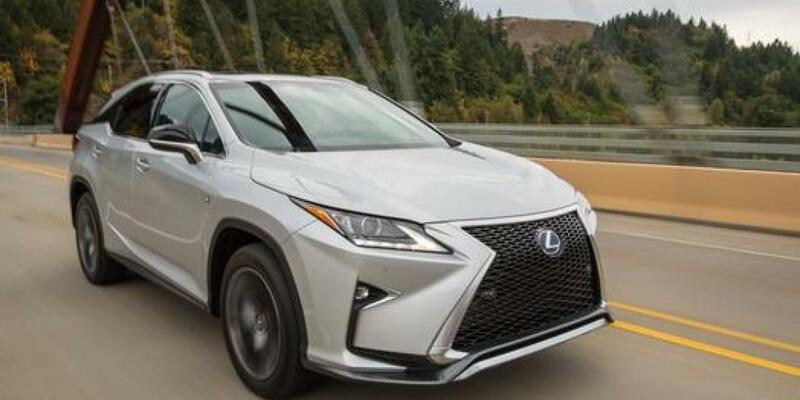 No one would describe the RX’s handling as “athletic” or “sporty” despite its more aggressive sheet metal. It’s really the same SUV it has always been. A comfortable cruiser with a soft, bump-absorbing ride and an isolated cabin. 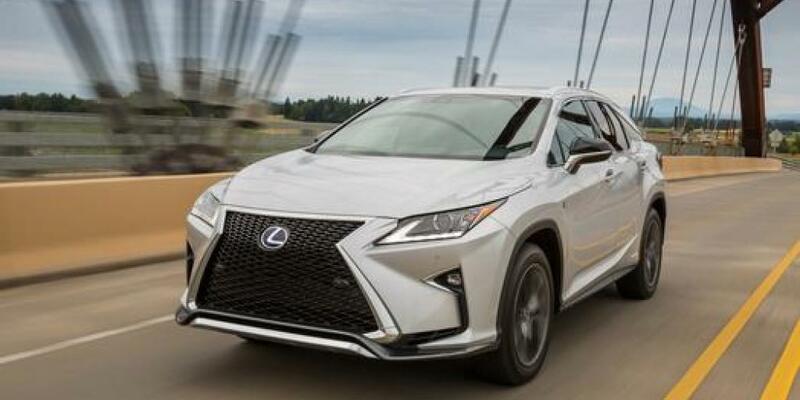 The F Sport trim makes some changes to the RX450h, they’re mostly appearance related. There are an “F Sport-tuned suspension” with active damping and larger, 20-inch standard wheels. However, neither do the handling any favors. 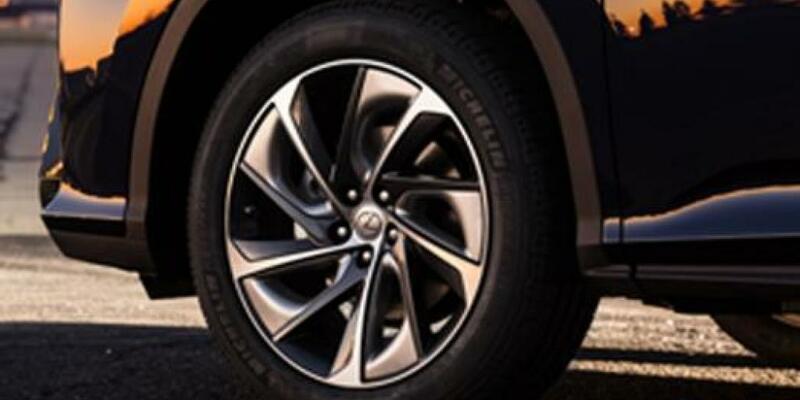 The larger wheels impair the SUV’s ability to soak up road imperfections and active dampers don’t make the hybrid any less ponderous in corners. Unless you’re attached to the looks or the admittedly sublime sport seats, we’d skip the F Sport trim and save a few thousand. 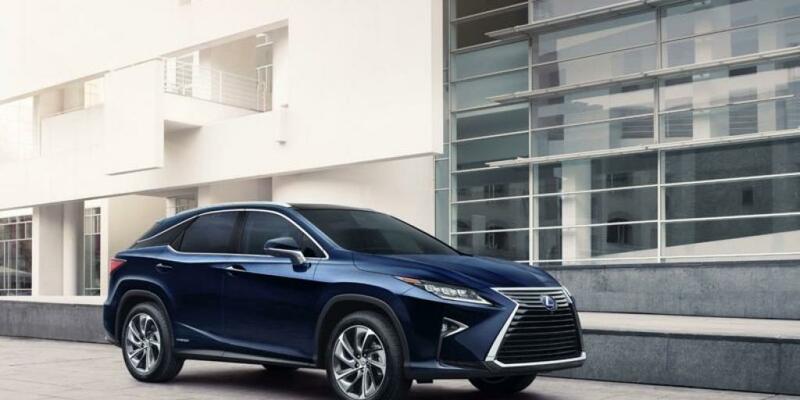 The Hybrid really only makes sense if you do most of your driving around town, the RX350 will deliver very similar real-world highway fuel economy and uses regular fuel instead of premium. Not to mention, you’ll save nearly ten thousand dollars. If you’re really set on a hybrid, the MDX Hybrid is far superior in every aspect except interior refinement, for thousands less. 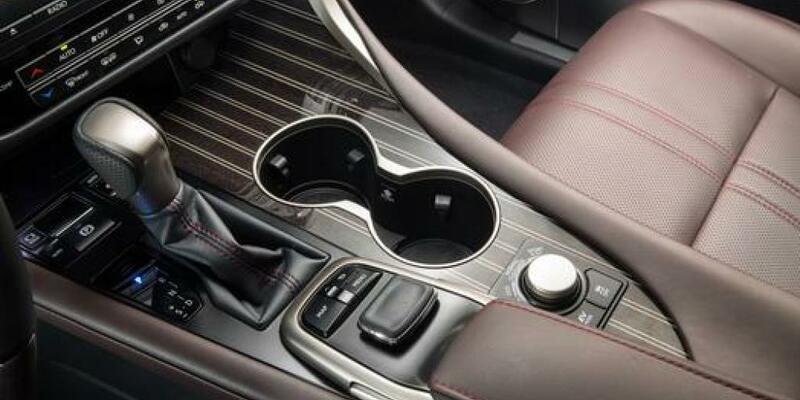 The Lexus RX possesses one of the poshest interiors available. Hand stitched detail work and softly padded panels abound with the exception of hard plastic panels found below the steering wheel on both sides. The inners console receives padding as well. A great thing because the console’s width means wider drivers may make frequent contact. 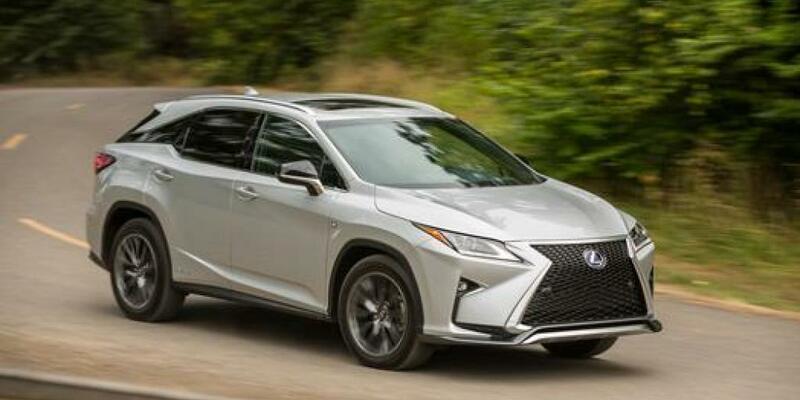 Hybrid models have leather-trimmed seating standard, unlike the RX350, which uses Lexus NuLuxe synthetic leather. 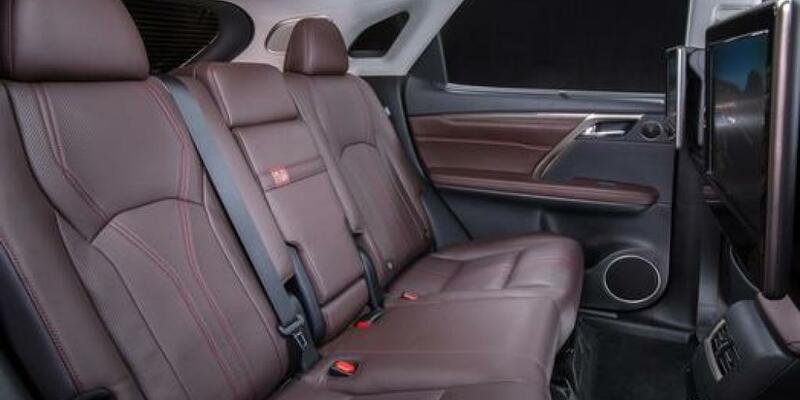 The Luxury package provides semi-aniline perforated leather throughout and adds unique wood trim pieces. The F Sport model comes standard with Rioja red leather and sport seats that envelop occupants firmly. A 12.3-inch display screen is standard on hybrid models and has various navigation and audio upgrade packages available. The system allows split screen functionality to utilize multiple tasks in motion or at rest. 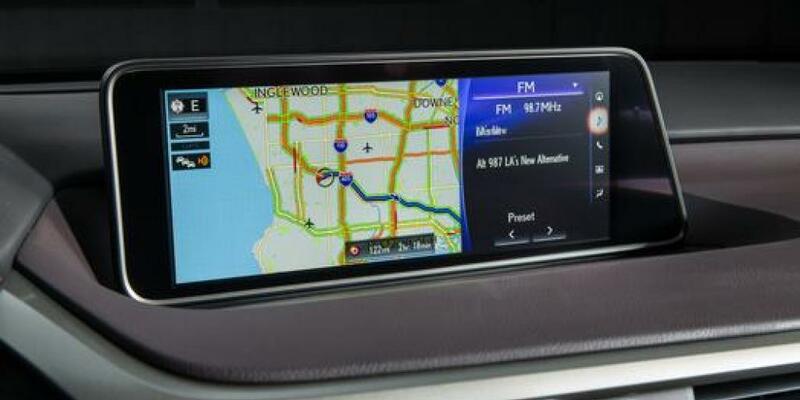 Navigation-equipped models are controlled by Lexus’ mouse-like remote touch interface that can be distracting to use, while regular models utilize a traditional knob controller. Neither are necessary because there are plenty of buttons to control most functions. Enform App Suite uses apps like OpenTable and Pandora without the need to operate your smartphone. The optional Head-Up Display projects navigation directions on the windshield in front of you, allowing your eyes to never leave the road. A backup camera with dynamic gridlines is standard, a 360-degree camera is optional. Unfortunately, the Lexus Enform infotainment system still doesn’t support Apple CarPlay or Android Auto. if you fancy yourself an audiophile, the divine Mark Levinson Surround Sound system will more than make up for the lack of smartphone interfaces and costs significantly less on the hybrid models. 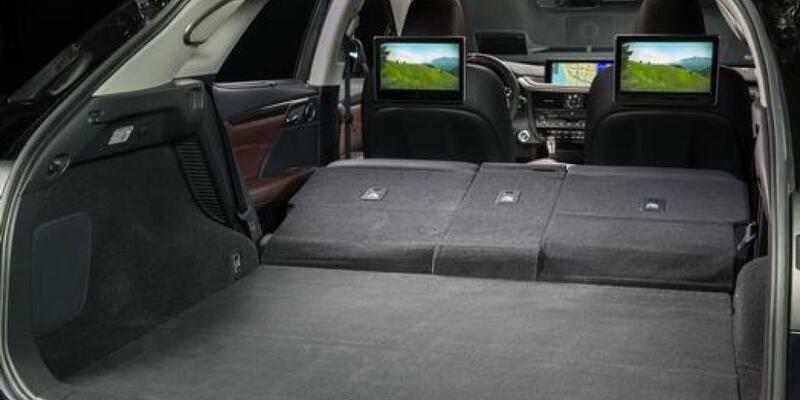 A dual widescreen rear seat entertainment system comes with wireless headphones and supports unique video sources on either screen for close to $2,000 dollars. Rear row legroom is ample and the seats recline and slide to optimize ergonomics. 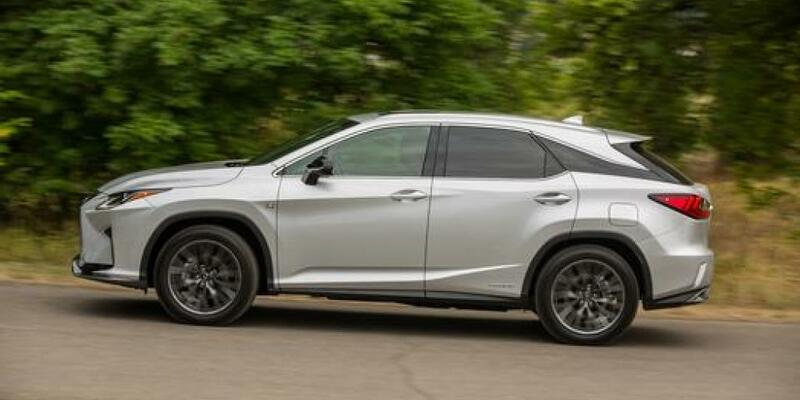 There’s no rear driveshaft in the hybrid model, which means the second-row floor is completely flat, making it one of the best SUVs for hauling passengers. 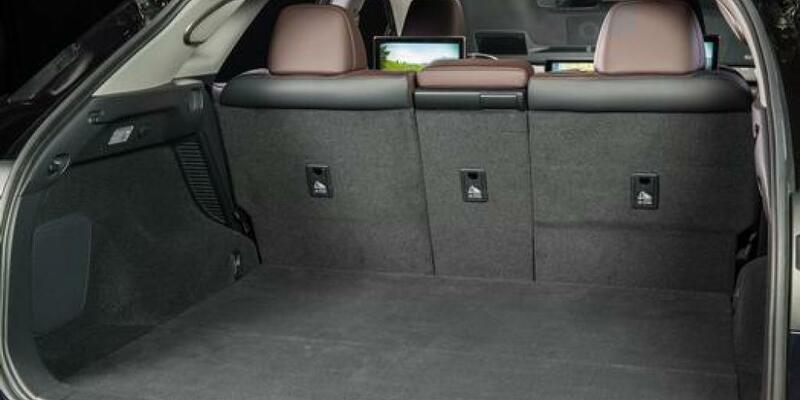 Cargo capacity falls behind many competitors, with just 18.4 cubic feet behind the second row and 56.3 cubes overall. Some reviewers complained the noise reduction in the latest RX isn’t as good as years past, with some road and wind noise making its way into the cabin at freeway speeds. Others say it’s as good as ever. Either way, be sure to test drive the RX on the highway to make sure you find the noise level acceptable. The RX’s interior remains a pleasant place to pass the miles, with enough technology and features to keep your passengers entertained and comfortable. 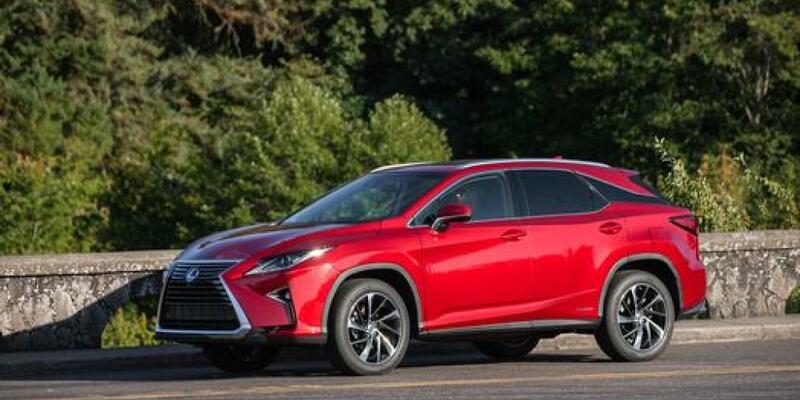 The RX marks a departure for Lexus’ demure designs in the past. 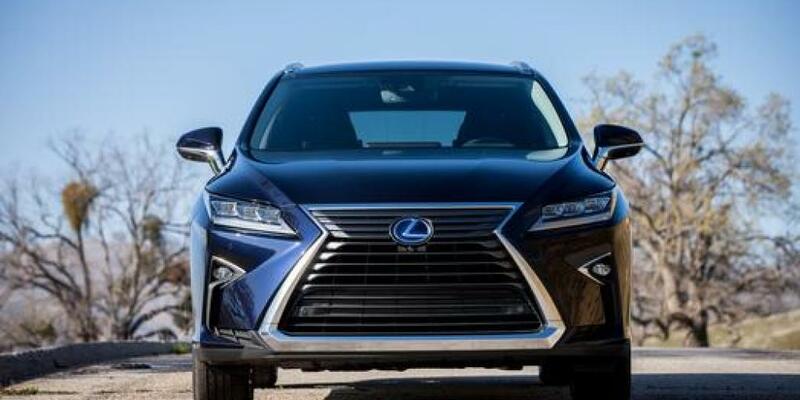 Daring lines and sharp angles comprise the RX’s sheet metal, beginning with the “spindle” shaped grille featured across the Lexus lineup. 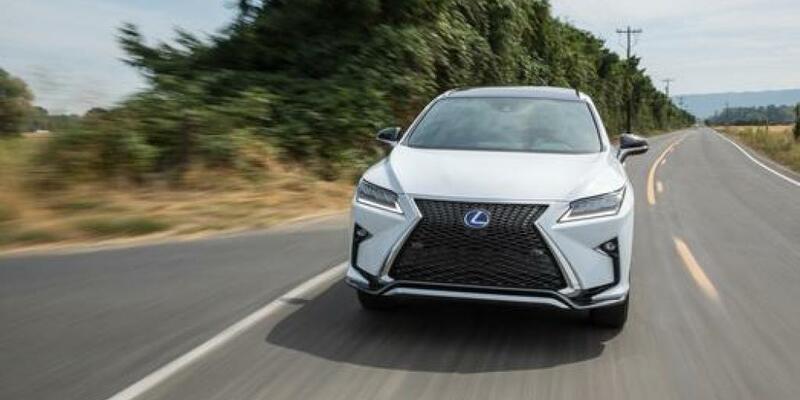 On the base RX450h, the grille is composed of horizontal vents, while the F Sport model draws a black mesh style grille. 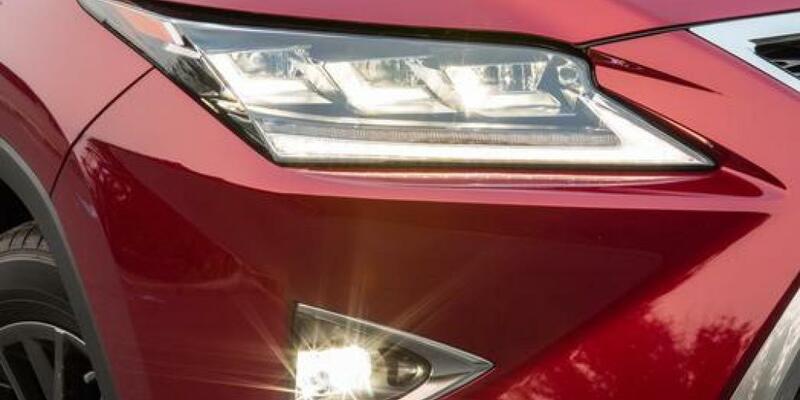 On both sides, thin trapezoidal LED headlamps complement the space created by the shape of the grille. Moving down, fog lamps dress either side. The F Sport model collects an enhanced lower front fascia with a front lip spoiler. A polarizing design feature on the side rear quarter is the partially blacked out C pillar that causes the roof to appear as if it is floating. 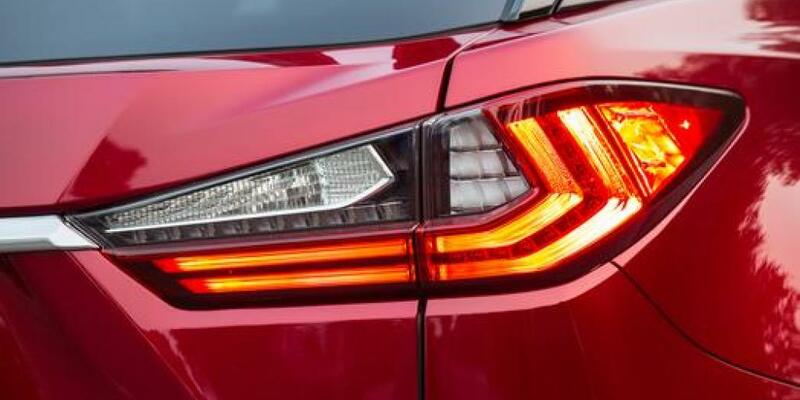 This aesthetic holds at the rear, where LED taillamps are joined via a single chrome molding piece. 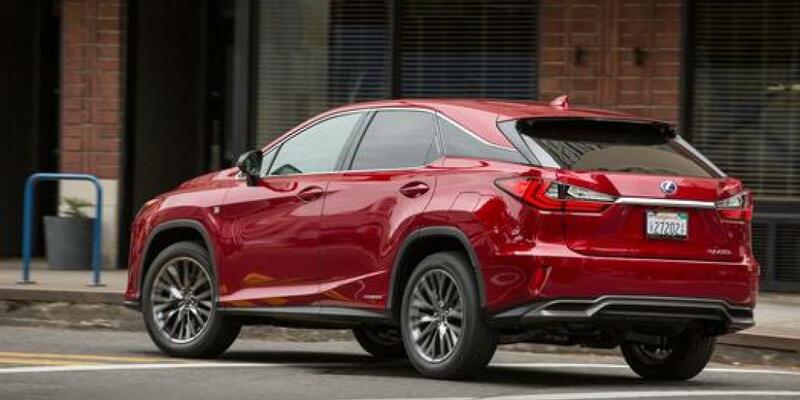 Hybrid models have hidden exhaust tips which distinguish them from the RX350. On the F Sport model, a roof spoiler rear bumper spoiler augment the masculine posture. What do you think of the RX’s design? Do you prefer it over the bland, more conservative designs of past generations? Let us know in the comments below. 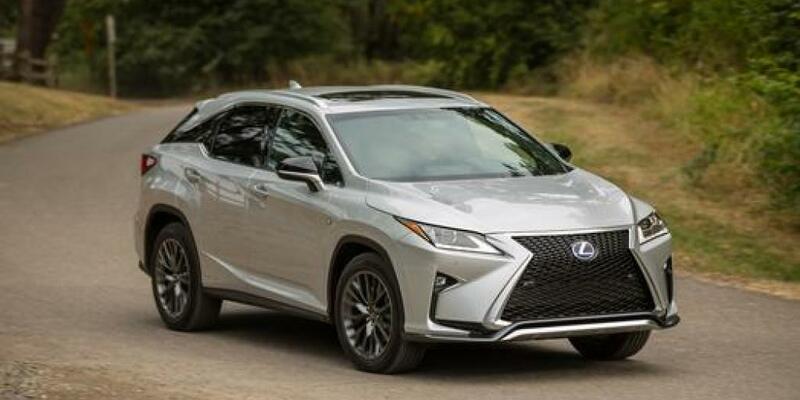 The Lexus RX receives 4-stars overall from the National Highway Traffic Safety Administration due to a 4-star front crash test rating and a 4-star rollover rating. The Insurance Institute for Highway Safety has a reputation for performing more rigorous crash testing. 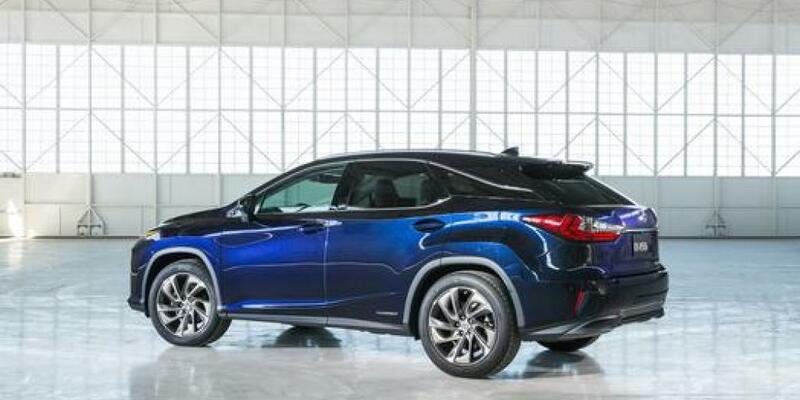 They offer all “GOOD” crashworthiness ratings for the Lexus RX, even the small overlap front test. Furthermore, the front crash prevention technology is rated “SUPERIOR,” the highest possible rating. 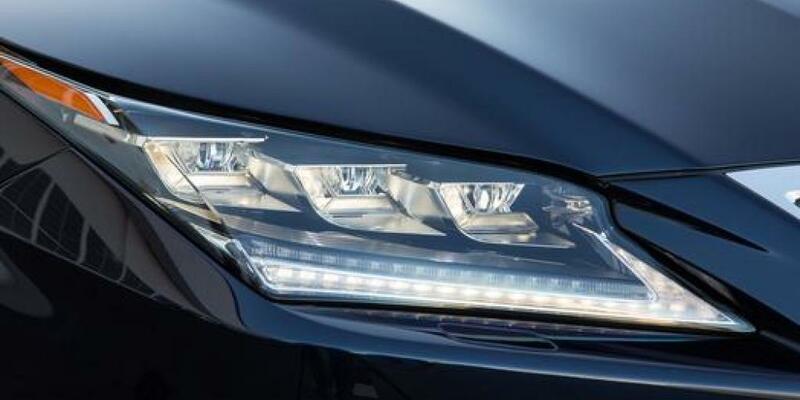 Of the three different LED projector-type headlamps, the lower two are rated “MARGINAL,” while the available Bi-LED Adaptive Front Lighting System is rated the second highest, “ACCEPTABLE.” These results place the RX near the top of all SUVs, high enough to earn a “Top Safety Pick+” designation, the most prestigious safety award in the industry. 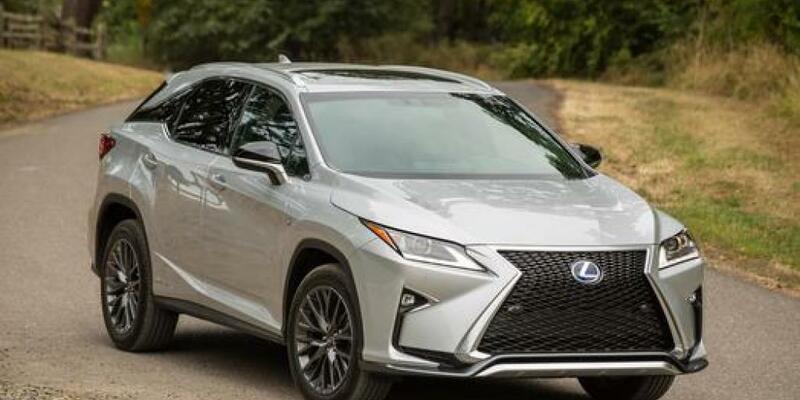 The standard driver assistance features, rearview backup camera, ten airbag system, and Lexus Enform telematics system contribute to the SUV’s strong safety profile. It’s one of the safest luxury midsize SUVs on the market and will keep you and your loved ones safe. Lexi are well-regarded for their excellent reliability and the RX Hybrid is no exception. JD Power rates the 2017 model a 4 out of 5 and the 2016 model a 4.5 out of 5 in predicted reliability. These scores indicate reliability of better than most to among the best. 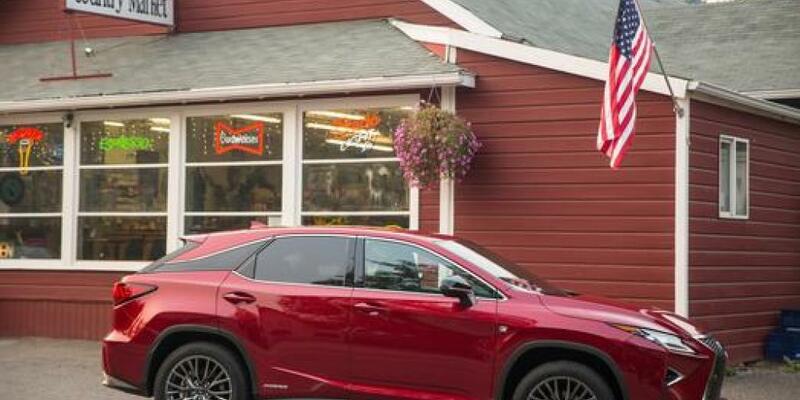 Consumer Reports offers similarly high ratings, with one of the highest owner satisfaction ratings of any SUV. The 2016 model is subject to one NHTSA recall that affects 5,072 RX models for an improper weld that may allow the gas needed to inflate the driver knee airbag to escape. 2017 and 2018 year models are recall free at the time of this writing. For the current generation, 2016-2018, there are just three complaints filed with the NHTSA. One owner reports unintended acceleration that resulted in a collision with a wrought iron fence and a total loss of the vehicle. Furthermore, the airbags did not deploy. The owner sustained no injuries and the Event Data Recorder report provided no conclusion as to what caused the accident. 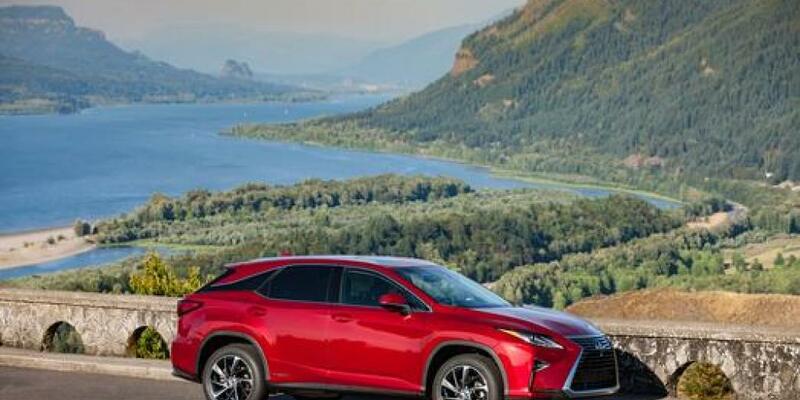 A second owner experienced a total failure of the RX 450h on the freeway using cruise control at 75 mph, the SUV had just 883 miles and was not repaired. A third owner had their fuel gauge fail. The dealer told the owner the fuel tank needed to be replaced. The vehicle was returned to the dealer with 17,000 miles on the odometer and wasn’t repaired. These three cases are rare and don’t reflect the overall reliability of this SUV. 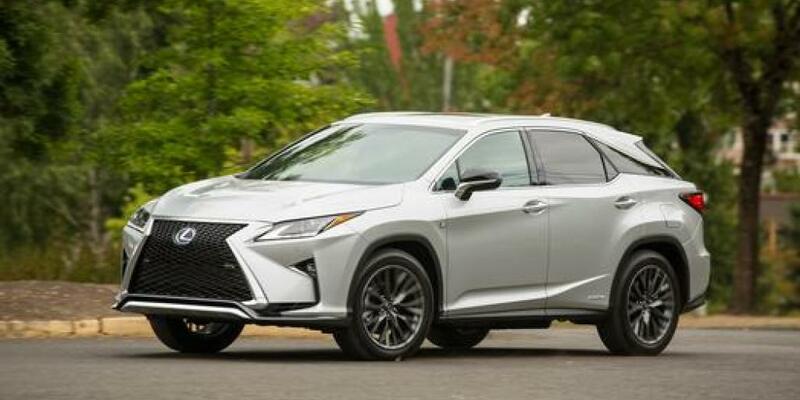 It’s inevitable that even a reputable manufacturer like Lexus produces a few lemons, especially when engineering an advanced hybrid SUV like the RX450h. Manufacturer Communications, usually Technical Service Bulletins, are a better indication of known issues that affect a broader spectrum of 450h models. Some of these issues have no doubt been resolved for 2018 models. 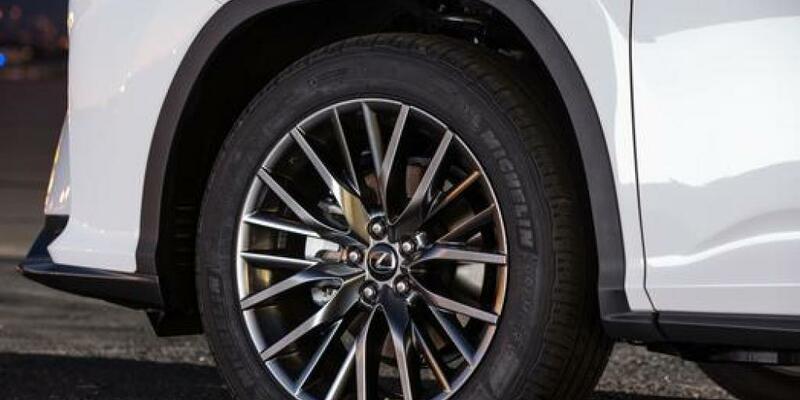 Several owners report brake vibration and Lexus issued a TSB detailing the cause as over or under torqued lug nuts. Several TSBs warn the fuel level float arm in the tank may not function properly and could result in the owner running out of fuel. Some owners may experience difficulty programming the HomeLink transceiver. Bluetooth pairing may function intermittently, especially with iPhone users. Some owners, especially those who live in cold climates, may experience trouble with the Power Back Door. Dealers now have a fix for this issue. None of these issues are too serious, as very few affect the vehicle’s ability to get you from point A to point B. 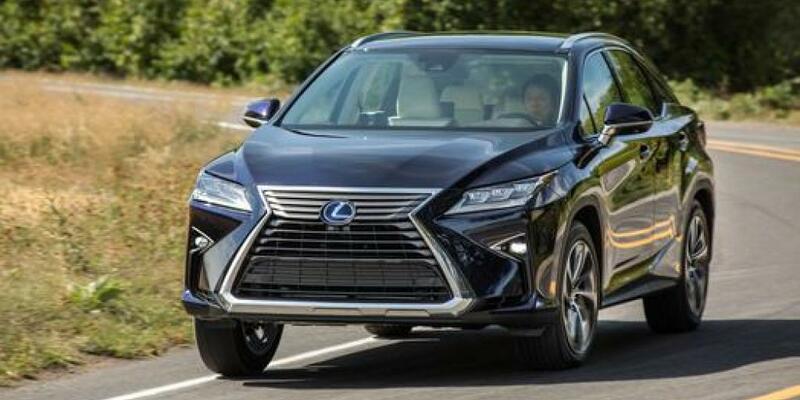 As a result, the Lexus 450h is a supremely reliable luxury midsize SUV. 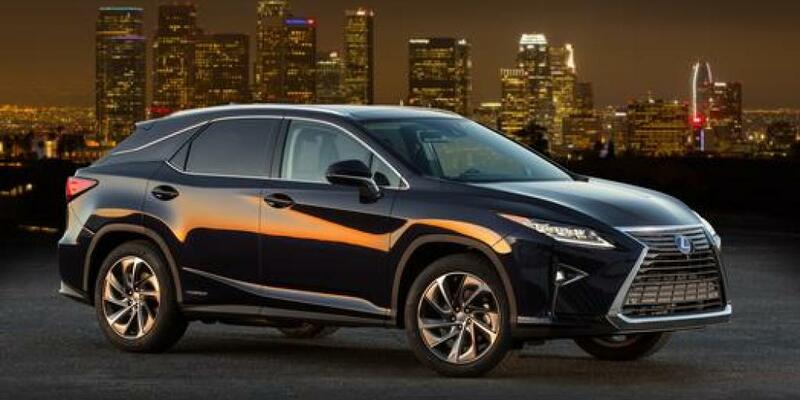 The Acura MDX Sport Hybrid presents the stiffest competition to the Lexus RX Hybrid. 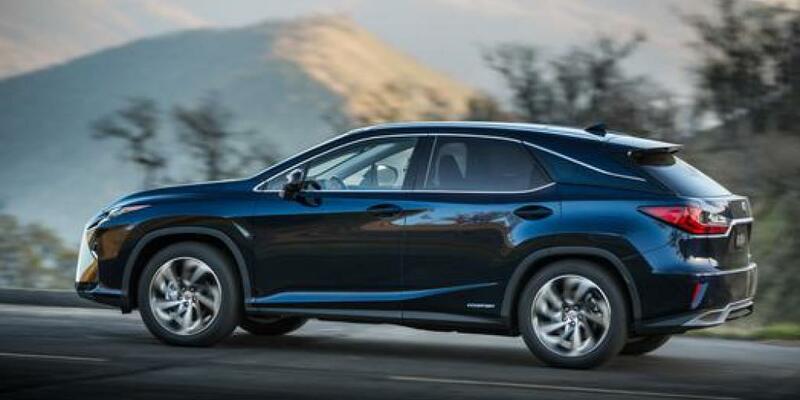 Like the Lexus, it features a non-aspirated V6 combined with electronic motors, though this combination produces a 321 combined horsepower and 289 lb-ft of torque. That’s quite a bit more than the Lexus. Also, instead of a CVT, the MDX Sport Hybrid has a dual clutch 7-speed gearbox, a far more responsive transmission that helps this larger SUV beat the Lexus to 60 by over a second. The MDX Sport Hybrid boasts a torque vectoring Twin Motor Unit that acts kind of like a differential when cornering, it was developed from the system found in the NSX supercar. 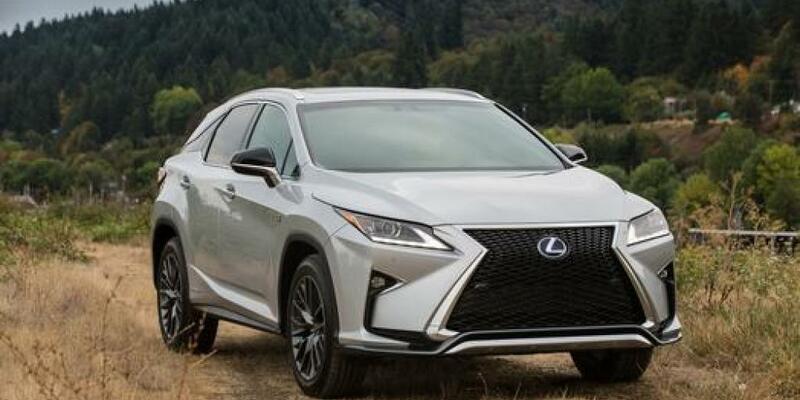 The result is a Hybrid SUV that handles more like a sports sedan than previously thought possible. 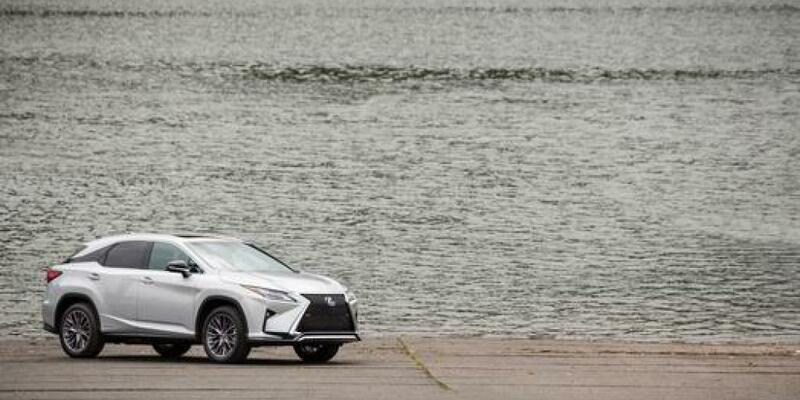 Thanks to the combination of SH-AWD and active electronically controlled dampers, the SUV will pull .1 g more on the skidpad than the lazy Lexus. 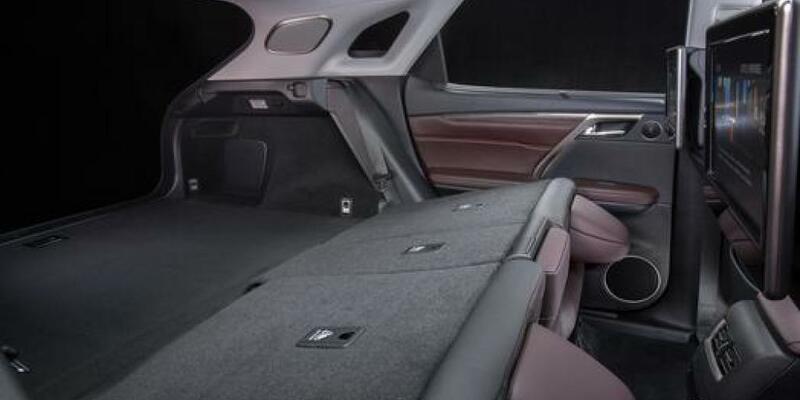 Inside the materials can’t quite measure up to Lexus standards but you do get a third row and over 10 more cubes of cargo capacity. Like the Lexus, you get a full suite of advanced driver assistance features, a Top Safety Pick+ rating, and high-reliability scores. For 2018, the infotainment system includes Apple CarPlay and Android Auto, still unavailable across the Toyota and Lexus lineups. 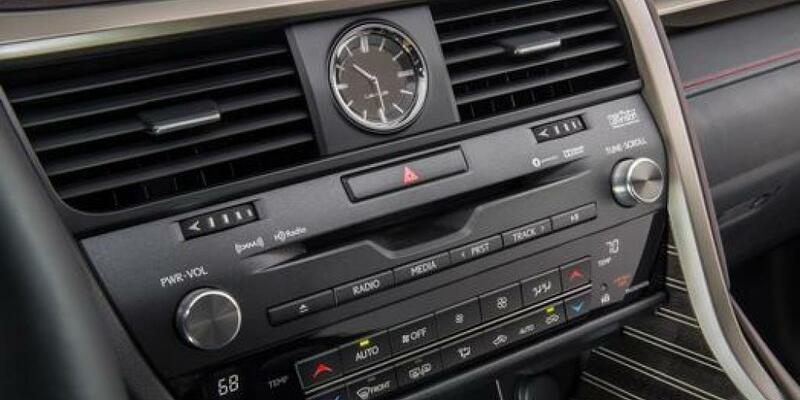 Both SUV’s infotainment systems receive criticism for being distracting and functioning intermittently. A split-screen capable 12.3-inch system is standard on the Lexus, while the MDX packs dual infotainment screen, one is 7 inches and the other is 8 inches. 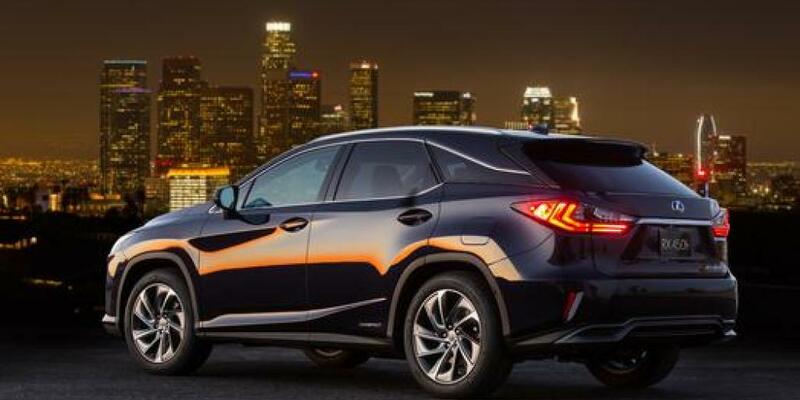 The Lexus has the edge in fuel economy ratings, with EPA ratings 3 mpg higher than those of the MDX. However, multiple owners and testers report real-world fuel economy numbers that are nearly identical. 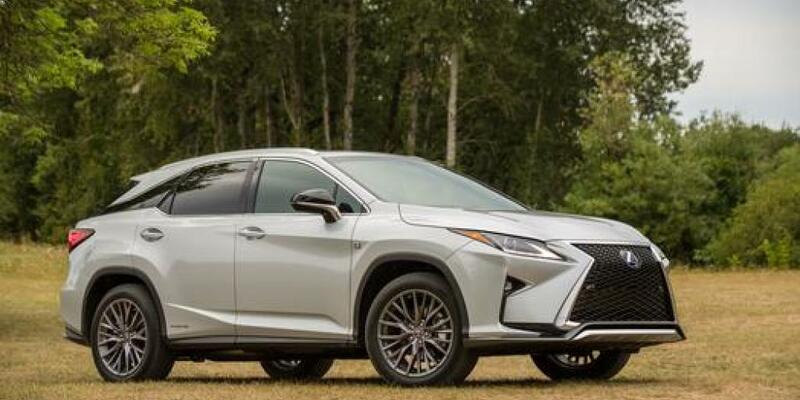 If your primary goal is to put around town in supreme comfort, the RX 450h is the better choice. If you’re looking for better highway performance, improved utility, and engaging handling, the MDX Sport Hybrid delivers. 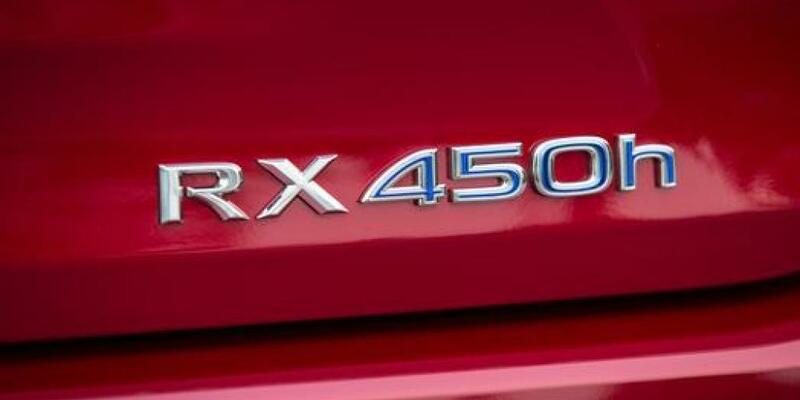 The RX 450h starts at $53,035 with an Atkinson cycle 3.5 Liter V6 and Lexus Drive electric system for a combined 308 horsepower. This powertrain has an EPA rating of 31 miles per gallon city and 28 miles per gallon highway. An electronically controlled continuously variable transmission transfers the power to all four wheels. 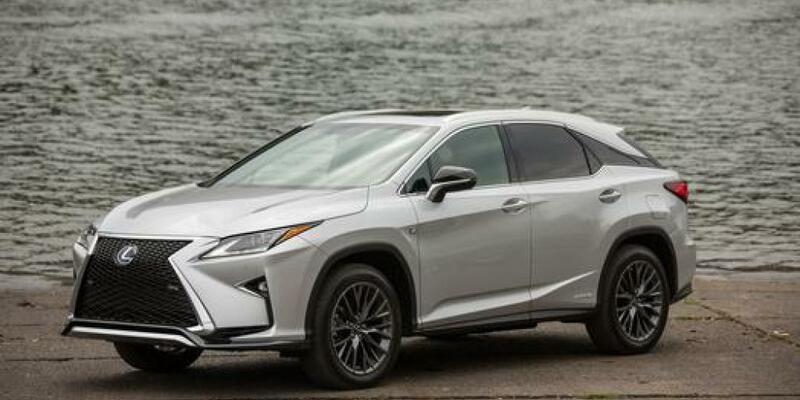 This hybrid SUV rides on 18 inch 5-spoke alloy wheels with 235/60VR18 all-season tires, held in place by Independent MacPherson struts with coil springs and gas-pressurized shock absorbers at the front and independent double-wishbone rear suspension with coil springs and gas-pressurized shock absorbers. There are front and rear stabilizer bars to control body movement when cornering. Braking is provided by a four-wheel power-assisted electronic controlled braking system with Brake Assist, Electronic Brakeforce Distribution, Brake Assist, regenerative function, 12.9-inch front ventilated disks, and 13.3 inch solid rear discs. 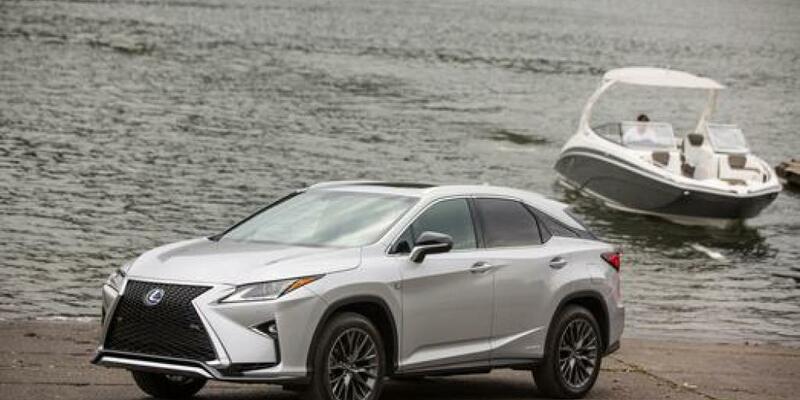 Lexus Enform Safety Connect comes standard and includes an emergency telematics system that will dispatch roadside assistance or emergency services directly to your GPS location or locate your vehicle if it is stolen. An occupant sensing advanced ten airbag system is also included to protect you and your loved ones in the event of a collision. Other standard safety features are a backup camera with dynamic gridlines, a blind spot monitor with rear cross traffic alert, intuitive parking assist with front and rear parking sensors, pedestrian sensors, vehicle stability control, direct tire pressure monitor system, and rain sensing wipers. Standard advanced technology features include voice command, Bluetooth hands-free calling and audio streaming, a 12.3 inch high-resolution split-screen multimedia display with remote touch, Lexus Enform Destinations live response navigation, SmartAccess key fob, Lexus Enform Remote app-based services, HD radio traffic and weather, Siri Eyes Free, HD Radio with iTunes tagging, SiriusXM satellite radio, and HomeLink universal transceiver. There’s also standard dual-zone climate control, heated and ventilated front seats, roof rails, 10-way power driver’s seat, 8-way power passenger seat, self-gripping cup holders, personalized memory function, USB center console with smartphone storage bin, auto-dimming outside mirrors, and UV reducing glass. The Navigation/Mark Levinson Premium Audio Package costs $1,510 and equips a 15-speaker Mark Levinson Premium Surround Sound system, Lexus Enform App suite, integrated navigation, in-dash DVD/CD player, remote touch, and climate control smog sensor. The Navigation Package with 12.3-inch color multimedia display adds ann in-dash DVD/CD player, Lexus Enform Destinations, navigation system, Lexus Enform App Suite, Lexus 12-speaker premium sound system, remote touch, and climate control smog sensor for $430. A $2,095 Rear-seat Entertainment Package provides a large dual-screen entertainment system that allows different multimedia sources and comes with two sets of wireless headphones. The Cold Weather Package affixes a windshield wiper de-icer, fast-response interior heater, headlamp washers, and auto-leveling headlamps for $315. 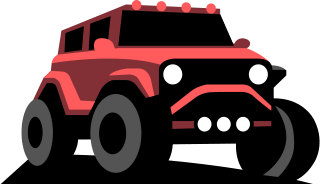 A Towing Prep Package is available for $265 that installs a heavy-duty radiator and cooling fan, as well as engine and transmission oil coolers. The Luxury Package furnishes 20 inch split five-spoke alloy wheels with super chrome machined finish and interchangeable painted inserts, driver’s seat power cushion extender and four-way power lumbar support, semi-aniline perforated leather-trimmed interior, rear armrest storage compartment, manual rear door sunshades, illuminated door sills, heated wood and leather trimmed steering wheel, Gray Sapele Wood with aluminum interior trim, ambient lighting, and Lexus Memory System for $2,975. 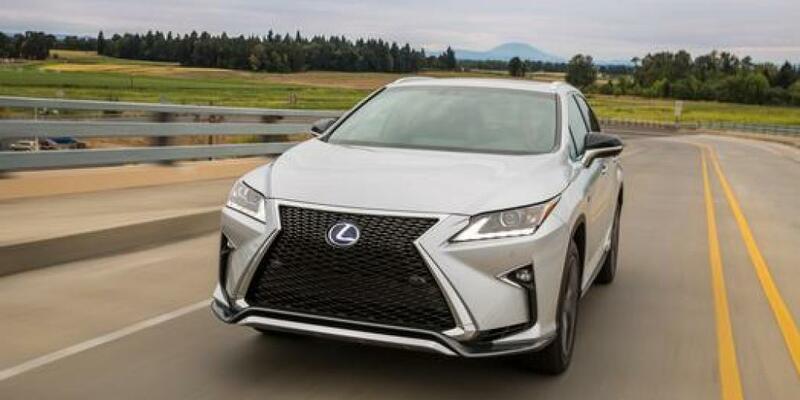 The RX 450h F Sport trim adds an LFA inspired digital tachometer with g-force metrics and power distribution info, F Sport-Tuned Suspension with standard Adaptive Variable Suspension and SPORT S+ mode, and exclusive F Sport styling. The latter includes unique aggressive bodywork and Rioja Red Leather. Additional features include enhanced bolstered sport seats, a heated steering wheel trimmed with perforated leather, aluminum pedals, and special stitching and accents to individualize your F Sport. Ambient lighting brightens or dims based on vehicle movement. A Panorama Glass Roof can be equipped for $500. The Navigation/Mark Levinson Premium Audio Package costs $1,510 and provides a 15-speaker Mark Levinson Premium Surround Sound system, Lexus Enform App suite, integrated navigation, in-dash DVD/CD player, remote touch, and climate control smog sensor. The Cold Weather Package adds a windshield wiper de-icer, fast-response interior heater, headlamp washers, and auto-leveling headlamps for $315. A Towing Prep Package is available for $265 that equips a heavy-duty radiator and cooling fan, as well as engine and transmission oil coolers.